Tell me about your background, before you ended up at the Transit Museum. Concetta: My master’s is in public policy, with a concentration in public finance. After graduating in 2001, I worked for a national consulting firm — I found the work super interesting, but felt I wasn’t cut out to be a consultant. I’m a joiner, I like to belong to an organization. In 2003, I had the opportunity to become the chief financial officer of the Please Touch Museum, a children’s museum in Philadelphia, and stayed through 2013. But I’m from New York originally, and wanted to come home to be closer to my family. So I took an opportunity to come back and work for a non-profit based here, then an independent school. Then this position became open at the Transit Museum — it would not be an understatement to say I dove at the chance. I’ve been here since January of 2017. So you succeeded the longtime director, Gabrielle. Concetta: I did. She had been here 24 years. On the one hand, I knew emphatically I wouldn’t be coming in saying: “this is all wrong, this is broken.” It wasn’t all wrong or broken. It’s important to me that people put decades of their lives into making this organization the incredible institution it is. I wanted to honor and respect the legacy I was fortunate enough to inherit. It’s also true that for a very limited window of time, I had what I call “new girl glasses” on. I had a perspective to look at things I hadn’t seen before, and asked a lot of questions. It was honoring the legacy and then looking at the way we do things to see what we could do differently, and think about the questions we have moving into the next chapter. With such a diverse background, talk about entering the world of transit. Concetta: Getting buy-in from the transportation enthusiasts can be an uphill challenge. But I think what I lack in content expertise, they know I make up for in passion and genuine interest and curiosity in the subject matter. My approach is a bit different than someone who is very knowledgeable about transit. But my mom’s father moved the family from Brooklyn to Freeport, Long Island in 1927. So since 1927, a member of my family has been availing themselves of the Long Island Railroad. I have also been reliant on the MTA my whole life. So I think I’m very connected in the way most people in this region are connected to transit. That’s the exciting part of the story to tell. Why we exist as an institution, we live the way we live because of mass transit. Most folks just don’t know it. We tell that story, and it’s a great story to tell. 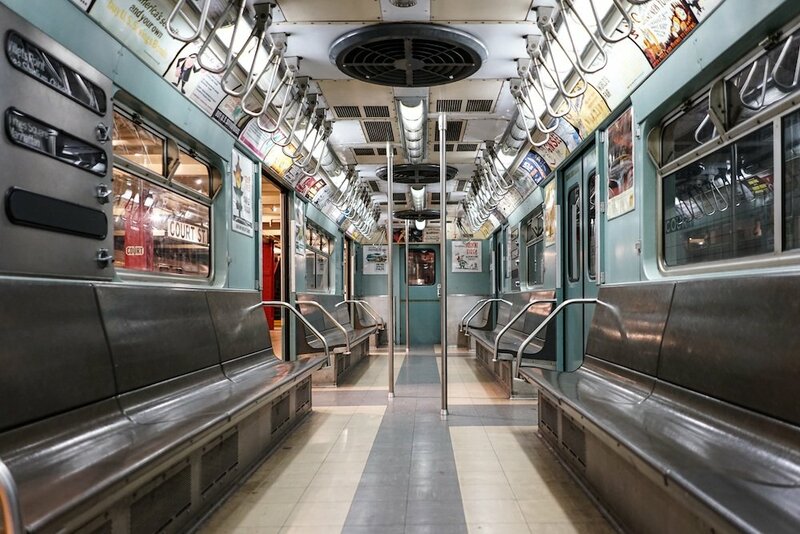 Why is that story so important now, when conversations about transit in New York are getting pretty heated? 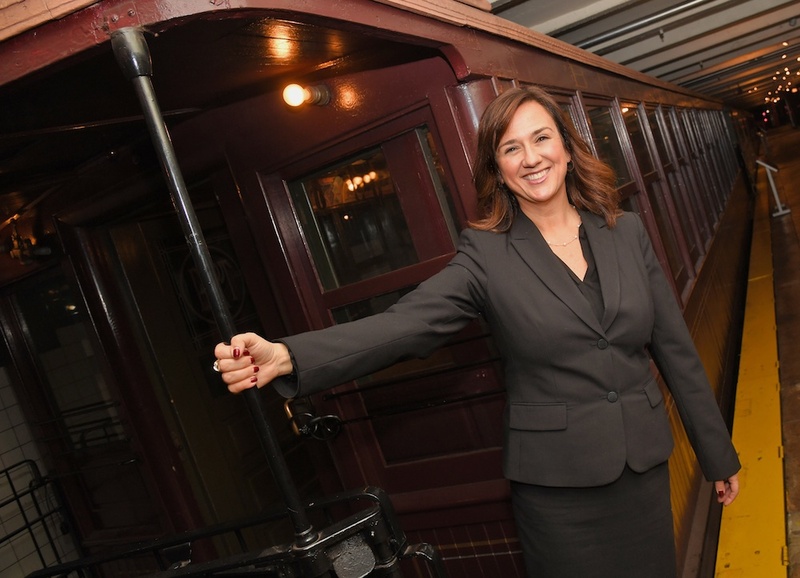 Concetta: First and foremost, I myself, as head of the transit museum, and the transit museum at large, holds no opinion about current conversation about the MTA, except to say it’ll be a super interesting chapter five years from now. What I can tell you is that so many of the incredible advances that have been made in the region come from challenging times. The surface transportation in New York used to be almost entirely horse-drawn carriages and nobody would entertain a conversation to diversity surface transportation — until the Canadian equine flu in the 1870s. Then there’s the introduction of elevated trains, which were amazing — until the Great White Hurricane of 1888, which stranded people in trains a couple of days. So the city begins thinking about going underground. That’s some of the great cadence of the city of New York. We need something that is going to take us where we need to go, when we want to get there. It’s a constant, ever-evolving push that it needs to be better, more inclusive, state-of-the-art. The conversations are as old as the city itself. Since coming on as director, what are some exciting evolutions you’ve overseen? 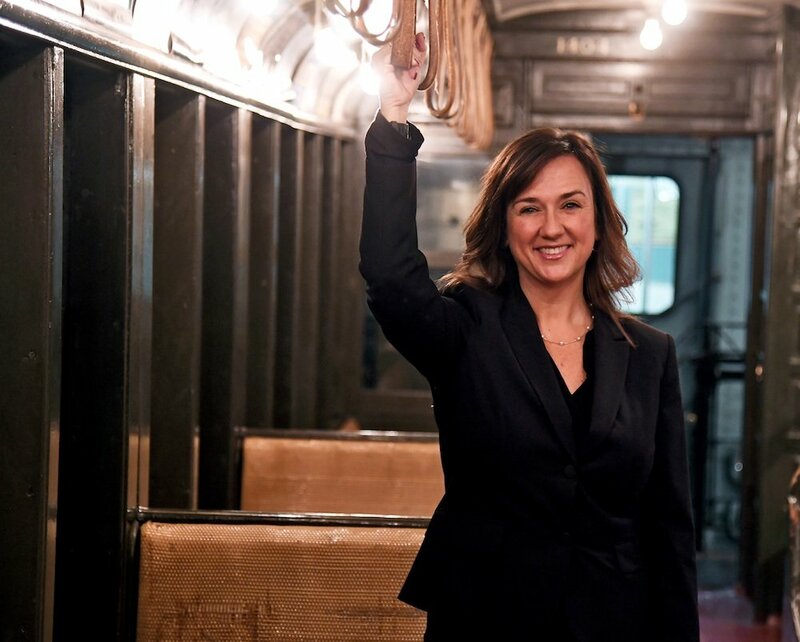 Concetta: We just opened an exhibit called Ticket to Ride. 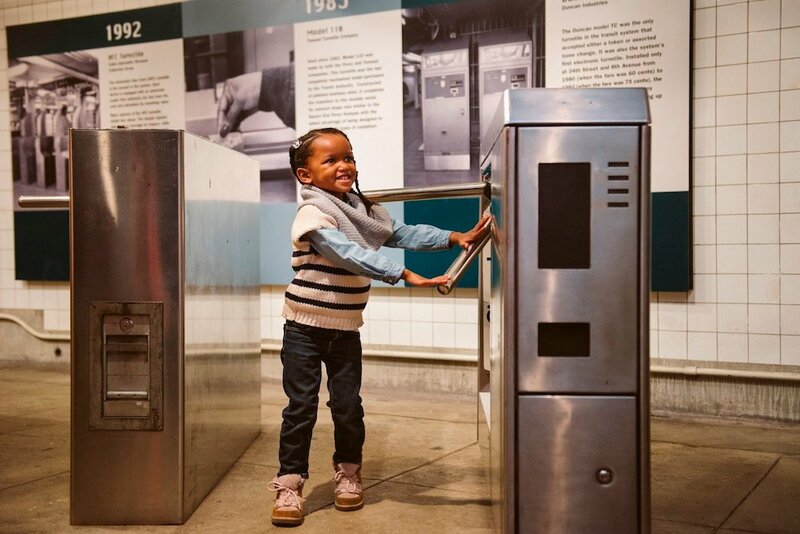 It’s a refresh of the iconic turnstile we have in the museum. The old exhibit was more technical drawings, that told you the specifications of the different iterations of turnstiles. We removed three in the lineup, and tried to tell a bigger story — like, why this turnstile was implemented in the first place, why did we do fare boxes? We’re also talking about what’s next, the new payment technology coming down the pike. It’s a little bit more of a universal story, and I think it’s a great refresh. That’s having a grand re-opening along our latest temporary exhibit, called Navigating New York. It tells the story of maps, way-finding and navigation in New York City. Really telling the story of what the New York map experience has been like for transportation, relative to different places. We also have an exhibit up now I just love. 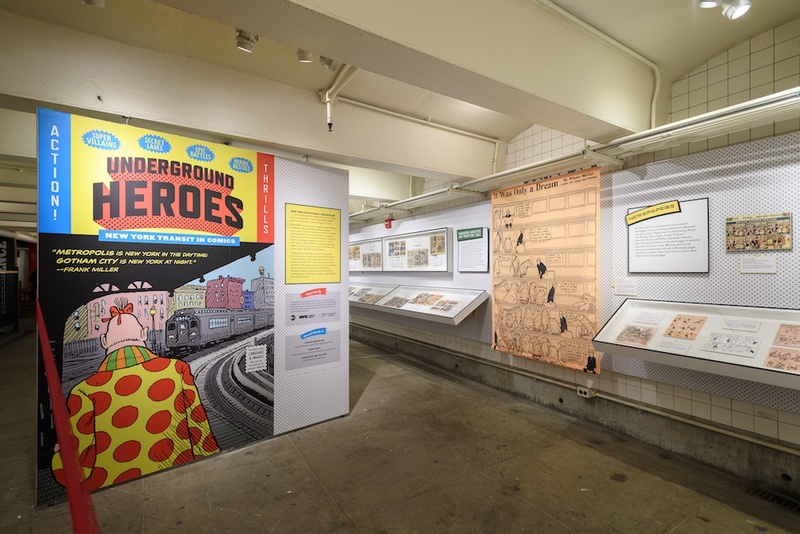 It’s called Underground Heroes and tells the story of comics and the subway. It might not have occurred to you, but disproportionately comics take place in New York City. The DNA of comics and superheros and villains are based in New York, and a lot of stuff happens underground. The reason is a fascinating part of New York history. In the early part of the 1900s, immigrant artists — specifically Jewish immigrants — were precluded from going to fine arts school. So there’s a cadre of talented individuals living in the outer boroughs and they wanted to use their art form. They drew for comics and became the artists behind the earliest comics. Many of them took the subway and thought it was a great space for conflict and life to happen. It’s a really fun exhibit, with 122 artists represented, and on view through early 2019. What are some of your future goals as director? Concetta: I find myself in the very fortunate position of having some of the best programming that lots of folks have never heard of. I find a little bit of my job is being cheerleader-in-chief, to shine a light on the incredible offerings we have. One of the most common refrains I get when I tell people where I work is that “I used to take my kids there,” which is amazing. My reply is, “Please come back, there are things for everybody.” We have incredible programming from people ages 2 to 82, and everyone in between. We are seen as a community resource, but we want more folks to know about the stuff we’re doing. Finally, what are the places you find inspiration in New York? Concetta: I really love Robert Putnam’s book, Bowling Alone — the idea is that people do things for two reasons, real capital or social capital. He also talks about social equalizers, where all of humanity can come and be. Those are the places I think are awesome. I like places like Central Park, places where all of humanity in all its varying forms and beauty. Those are the places I find inspiring and energizing, even if it’s just walking my dog around Stuyvesant Square.